During the launch,we were told that TNK 500 had been awarded the Red Dot Award Product Design 2012, one of the most prestigious International product awards in the field of design. In this edition more than 4.500 designs of manufacturers and designers were presented from all around the world. After an evaluation process of several days in front of 30 experts, TNK 500 has received the coveted award for its conceptual language and innovative materials, in the product category. Soon we will provide more information in respect of this. 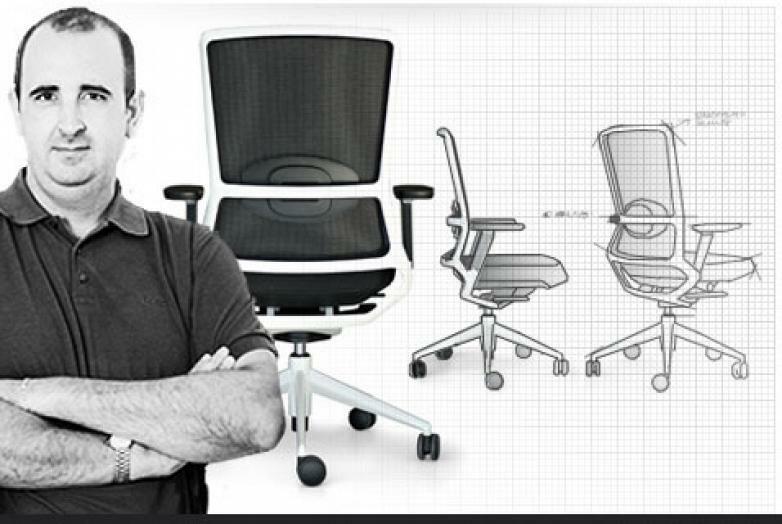 We interviewed Marcelo Alegre, designer of the awarded chair for more on this. How did the project TNK 500 arise? The project 500 arose from the need to provide more to the user with minimal impact on the environment. Based on a starting point of acquired experience of previous developments, TNK and Winner, we proposed a design that would pick up these but furthermore expand the positive experience of the user. This has been achieved by refining the details to the maximum and using as much technology as productive as materials for a better perception of the user in the daily use of the product. Converting that into productivity. After the result, What adjective defines the new design? What about the back? Human, would be the adjective we would use to define the product. For its respect to the environment, sincererity of feelings and care to the user. This human perception that we have enhanced has created a back design of high quality with closeness and comfortable shapes. Its construction allows the development in the range, to provide any customized solutions to any needs. What is its most significant characteristic? The most significant characteristic of the 500 is the quality. We transmit quality through the design, timeless and elegant. We transmit the quality with the engineering details and the adjustment of pieces. Sensory quality is perceived by the user by using soft materials on the points of interaction. The visual quality that the user sees throughout the use of materials adds value. We transmit quality to the environment by being a sustainable product and environmentally friendly. With respect for the materials used..Why these and not others? Do they represent added value in the final product? To create a product for ACTIU, is much more than a formal design. An ACTIU product is a design of a sum of functional, tecnological and technical details. A500 is a clear example, it has used die-cast aluminum for the structure, to obtain a light and elegant product, whilst retaining all the mechanical and functional properties of an operative chair. The criteria for the selection of products has been very clear, we assign the parts subjected to mechanical stress to resistant materials, in the support pieces we use high quality plastic and the pieces that interact with the user we use soft pieces. All of this is under the sustainable criteria.